Have you ever wondered whether you can keep hornwort and betta fish together? Well, there are mixed reviews on the topic. Some people think it’s completely fine and some people advise against. But if you keep reading you’re going to know once and for all whether it’s worth it or not. 2 Can Hornwort And Betta Fish Coexist? 3 What Does Hornwort Look Like? 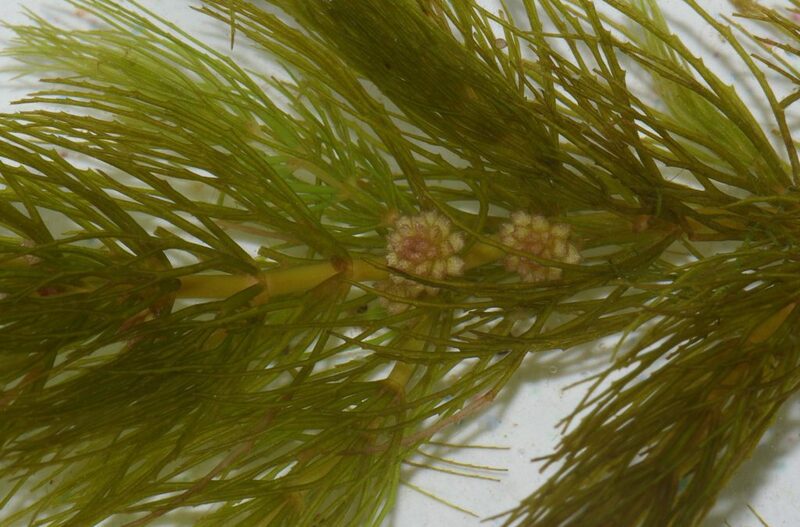 4 What Conditions Does Hornwort Need To Survive? 6 How To Make Hornwort Grow Bigger Faster? 9 So, Should You Keep Hornwort And Betta Fish Together? Hornwort is a type of aquatic plant that grows all over the world. It’s an invasive species which means when it’s introduced to a new ecosystem it will start killing off other plants. However, don’t let that put you off. Hornwort is still going to look great in your tank. And as long as you don’t let it grow outside of your tank there won’t be a problem! Hornwort isn’t just one type of plant. It’s believed there are between 100-150 different types to choose from. And 300 species have been published! (However, it’s a common belief that some species have made the cut twice). The species that is most commonly used in aquariums is Ceratophyllum demersum. Can Hornwort And Betta Fish Coexist? There are definitely reasons for and against keeping hornwort and betta fish together. However, it’s all going to depend on each individual tank. If you’re worried about hornwort then there are other plants that are going to look great as well. Such as Java Fern and Java Moss. But before you write it off altogether, here are some great reasons to consider keep hornwort in your aquarium. Just like most aquatic plants, it’s going to provide your betta with a place to hide and rest. Your betta can’t be active all the time, and he’s going to need somewhere he can hide and rest. This is especially true in community tanks. Because of the size of hornwort and how dense it can grow, it can create the perfect hiding spot for your betta. If you placed enough hornwort in one area of your tank you’d even give your betta the ability to be almost invisible to other fish. 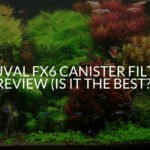 As well as this having a lot of decoration and plants in your tank is going to entertain your betta. Believe it or not, bettas are very intelligent fish. If there’s not enough in their tank to keep them occupied they are quickly going to become unhappy. Keeping hornwort in your tank with a variety of different decorations and plants is a great way to keep your betta entertained. The biggest downside is that hornwort can sometimes cause damage to betta fins. Depending on the type of hornwort you have, how old it is and the water conditions sometimes the leaves can become quite tough. 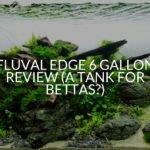 This toughness can agitate your betta’s fins and even tear them. This is something you should consider before adding hornwort into your tank. If you’re worried about hornwort ripping your betta’s fins then a great alternative to use is silk hornwort (or any silk plant). What Does Hornwort Look Like? Oftentimes hornwort can be mistaken for a lot of different plants. When in actual fact one plant can have many stems. And the anchored stems each grow small leaves/needles in groups of 6-12 all the way up them. Sometimes these leaves fork into smaller leaves but this only happens once or twice. Color-wise hornwort is normally dark green, but this isn’t always the case. Some external factors such as a higher temperature can cause hornwort to become lighter in color. And if you keep the conditions perfect for your hornwort then you’ll notice it begin to flower when it’s ready to reproduce. The flowers can be different shades of brown, but they’re going to be quite small. Only a tenth of an inch long. What Conditions Does Hornwort Need To Survive? Because hornworts can be found all over the world, it means it can be found in all sorts of environments. Rivers, streams, lakes, marshes, and ponds are all known to house hornwort. Because of this hornwort is pretty hardy, and can survive in most conditions. One of the biggest contributors to hornworts health, however, is light. You need to make sure that your hornwort is getting plenty of light. You should have a set up with high lighting and be sure that light is hitting every part of your tank. Now that you know the importance of light the next step is to make sure the pH and temperature are right. Temperature wise you’re not going to have any problems if you’re housing hornwort with a betta. Hornwort needs a temperature between 59-86°F. A betta ideal temperature of 78°F falls nicely in between that. So as long as you’re catering for your betta your hornwort will also be fine. Next the pH of the tank. You want to make sure that the pH is between 6 – 7.5. However, for the sake of your betta, you should keep it at 7. 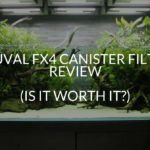 As well as the pH, temperature, and lighting you should also make sure that you’re tank has good filtration. 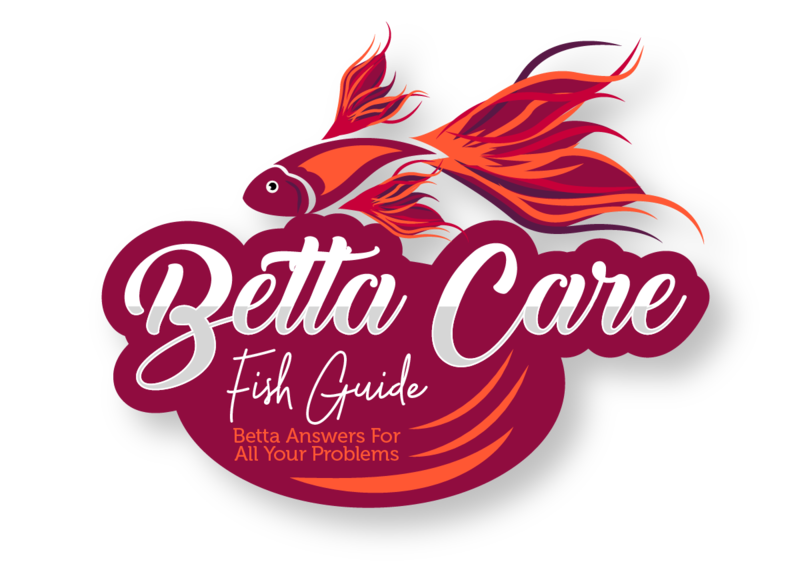 This is important for your betta too. 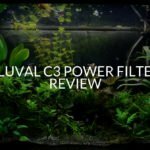 Contrary to popular belief, filters are an essential part of any betta tank. As well as filtering you should make sure that the hardness of the water is between 5-15dGH. And lastly, because of the size hornwort likes to grow too, you should only put it in tanks that are 15 gallons or bigger. Caring for hornwort isn’t as simple as just making sure the water conditions are right. Because hornwort can grow at a rapid pace and too huge sizes. It’s not uncommon for hornwort in the wild to grow up to 10 feet tall. And it’s been recorded to grow up to 5 inches in a week! However, it’s not hard to counteract this growth. Once your hornwort is at the desired length all you have to do is cut it when necessary. Just make sure you’re cutting from the top and that you’ve prepared your scissors so they’re safe to enter your tank. (Boil them and swish them around in a small container of tank water). How To Make Hornwort Grow Bigger Faster? Maybe you’re not interested in keeping your hornwort trimmed, perhaps you want to see it grow. If this is the case then don’t worry. There are ways to make hornwort grow faster. 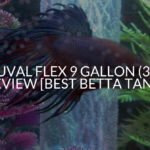 You can either gradually turn the temperature up in your tank, just make sure that you’re not going above 85°F otherwise your betta will suffer. If you’re not keen on turning your temperature up then you can try increasing the intensity of the lights. Just like previously mentioned, hornworts love the light, and if you give them a more intense source they’re going to grow quicker in return. And lastly, you can also add fertilizer to your tank (just make sure it’s betta friendly). While hornwort doesn’t need fertilizer as much as other plants in your tank, it can still be beneficial. 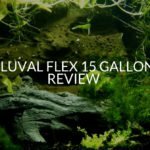 When you keep any plant in your tank there are things you need to be careful of. And keeping a hornwort and betta fish together is no exception! One of the biggest problems with hornwort is the sheer size it reaches. If you let it, it can quickly overtake your aquarium. This is going to take up precious swimming space for your betta. And not only that, if it grows big enough it can also block out most of the light into the tank. Light is important for your bettas circadian rhythm, so you need to make sure that he knows the difference between day and night. To counteract this shedding you should vacuum the gravel in the early stages of keeping hornwort. This won’t be forever, it’s only until the plant has settled in. 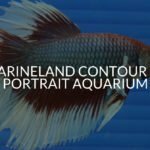 If the shedding hasn’t stopped after a while then there may be a problem with the light, temperature or nutrients in the tank. You should try turning the light up, raising the temperature and adding fertilizer respectively. Just make sure you’re not doing anything that is going to stress out your betta or cause him harm. Before you add hornwort to your tank there is a bit of a dark side you should know about. Because of how hardy hornwort is it’s become an invasive species around the world. And it’s not just it’s hardiness. Hornwort is also an allelopathic plant. That means it releases biochemicals into its environment for its own benefit. In the case of hornwort, it uses biochemicals to stunt growth in other plants. Once their growth is diminished the hornwort can grow larger and absorb more nutrients. But this isn’t all bad, due to its allelopathic abilities, a tank with hornwort rarely suffers from blue-green algae. Blue-green algae cover plants in your tank making them unable to absorb nutrients. 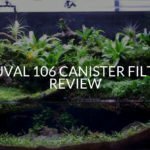 It can be a good preventative measure for other plants in your tank. So, Should You Keep Hornwort And Betta Fish Together? 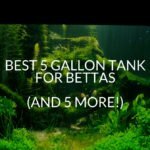 Keeping hornwort and betta fish together in a tank is definitely doable, and in most cases will make your betta very happy. However, if you do notice any tears on your bettas fins then you may need to remove the plant and replace it with a silk one. Hornwort provides a lot of hiding places for your betta and tank mates to hide. It’s also a great source of entertainment for your betta to explore. However, be careful, depending on the hornwort sometimes it can be tough and may rip your bettas fins. If there’s not enough light in your tank your hornwort will perish. Hornwort can survive in temperatures between 59-86°F and a pH between 6 – 7.5. 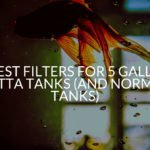 You should also make sure your tank has good filtration. Because of its size, it should only go in tanks that are 15 gallons or bigger. Hornwort will need to be trimmed regularly. Also you should be aware that hornwort is an allelopathic plant which means while it can inhibit other plants from growing.